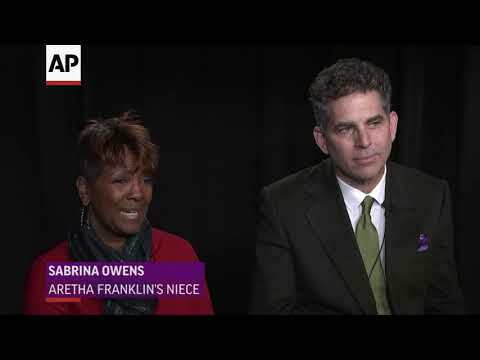 NEW YORK (AP) — When I got the chance to interview Aretha Franklin for the first time in 2001, I was already a bundle of nerves: Even though it was just over the phone, I'd be talking to THE Queen of Soul! You could get no closer to rock 'n' roll royalty than the Queen herself. NEW YORK (AP) — Aretha Franklin never saw herself as a feminist heroine. That, she quipped, was Gloria Steinem's role. But she leaves a legacy of indelible anthems that resonated deeply with women by celebrating their strength and individuality — and demanding, well, just a little respect. "I don't think I was a catalyst for the women's movement," she told Rolling Stone in 2014. "Sorry. But if I were? So much the better!" 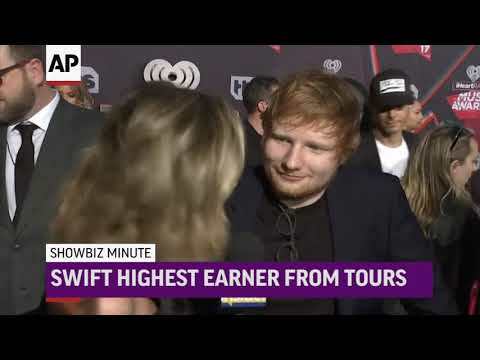 LAS VEGAS (AP) — In a story March 30 about the Stellar Gospel Music Awards, The Associated Press reported erroneously that Jonathan McReynolds won six awards. He won eight. 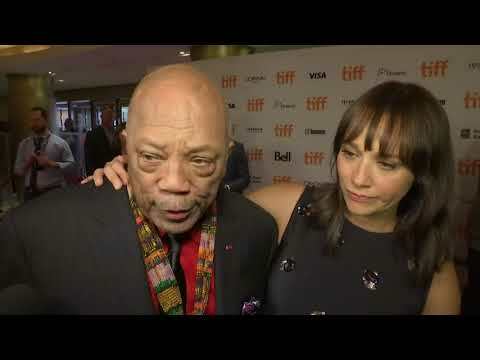 CHAMPAIGN, Ill. (AP) — Actresses Gina Gershon, Virginia Madsen and Jennifer Tilly are among the guests at this year's Ebertfest film festival in Champaign. MEMPHIS, Tenn. (AP) — Aretha Franklin, Count Basie and Booker T. & the MGs are among the performers named as inductees to the Blues Hall of Fame. 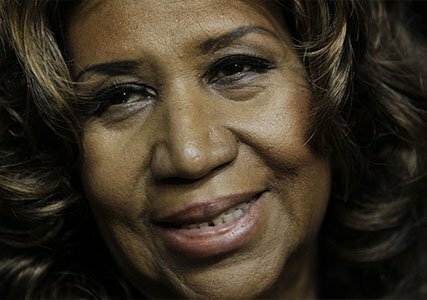 DETROIT (AP) — Some of Detroit's prominent artists are gathering to celebrate the music and memory of Aretha Franklin. The event, "A Celebration of The Queen of Soul Aretha Franklin in Song and Dance," is scheduled for Feb. 1 at the Detroit Institute of Arts. Producing and singing is Joan Belgrave, wife of late jazz trumpeting great Marcus Belgrave. DETROIT (AP) — Aretha Franklin's estate has paid at least $3 million in back taxes to the IRS since her death in August, an attorney for the late Queen of Soul's estate said Thursday. DETROIT (AP) — In a story Nov. 27 about the purchase of the late singer Aretha Franklin's mansion, The Associated Press erroneously reported the home's square footage. It is 6,200 square feet, not 5,600. DETROIT (AP) — Aretha Franklin's family members traveled in Ford Mustangs to honor the late music great and a high school marching band performed her signature tunes Thursday during Detroit's Thanksgiving parade. Thousands of spectators lined the three-mile (4.8-kilometer) route in sub-freezing temperatures along Woodward Avenue Thursday morning from Midtown to downtown for the parade's 92nd year. The event featured 26 floats. DETROIT (AP) — The Detroit museum that hosted Aretha Franklin's public visitations after her death is again holding space for her — this time with an exhibit featuring photographs, videos and the red shoes she wore at the first funeral viewing that drew global attention. MEMPHIS, Tenn. (AP) — Soul songstress Aretha Franklin is headlining a diverse and influential class of performers and music industry personalities who are being inducted into the Memphis Music Hall of Fame.